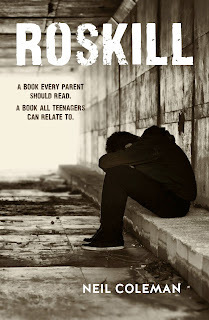 Neil Coleman | Author of Roskill and Talk to Me: Amazon AP for Kindle---how good is it? Amazon AP for Kindle---how good is it? I rely on people downloading the free AP from Amazon for a Kindle, ti enable them to read ROSKILL on a device of their choosing. However, i am hearing conflicting reports about just how that AP is. Do let me know. I'm just curious. As with all 'reports,' one has to be careful as to the 'accuracy' of such opinions. I find it hard to believe that of there were difficulties, Amazon would 'fix them.' Hey---they rely on their product being efficient and problem-free too, don't they. Given that I want most of my sales for ROSKILL to be downloads, in NZ at least, because of the high cost of postage from the USA, then I have a vested interest in everything being easy to use. Don;t forget to email me direct at neilcolemanauthor@gmail.com for a hard copy order within NZ. No one has told me how much ROSKILL costs for readers in the USA----let me know.